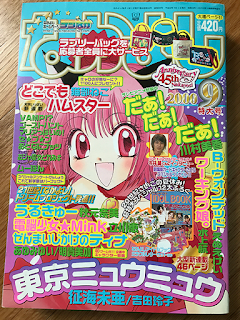 I can still remember the day I got this issue. After all, it was my first time visiting a store that sold anime and manga merchandise. Until then, my only real exposure to the world of Japan had been Sailor Moon episodes on the USA Network and a few random movies on the Sci-Fi Channel (Gall Force, Vampire Hunter D, etc. ), and I just couldn't wait to get my hands on everything I could. It didn't occur to me that Japanese merchandise could be expensive ($40 for a CD? Seriously? 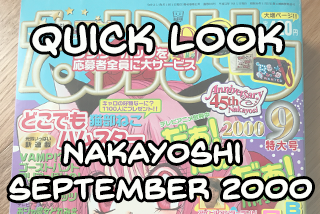 ), and after much deliberation, I used my limited funds to buy this issue of Nakayoshi (なかよし). That was 17 years ago. Yikes. The store I went to (Wizzywig in Ann Arbor, MI) is long gone, but the memories live on. Because of the sheer size of the magazine (and the fact that I don't want to bend it too much), I had to take pictures with my phone. Sorry! This thing is bulky! 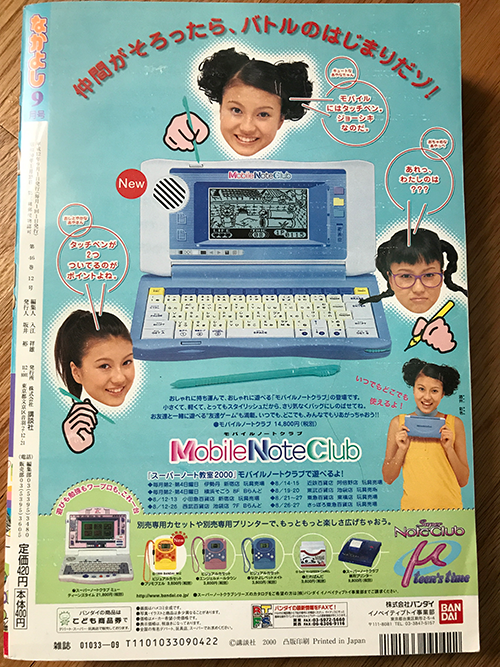 The ad in the back is for something called MobileNoteClub. 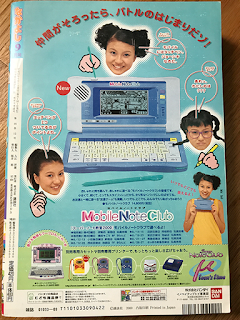 No idea if you can still get these little devices anywhere. 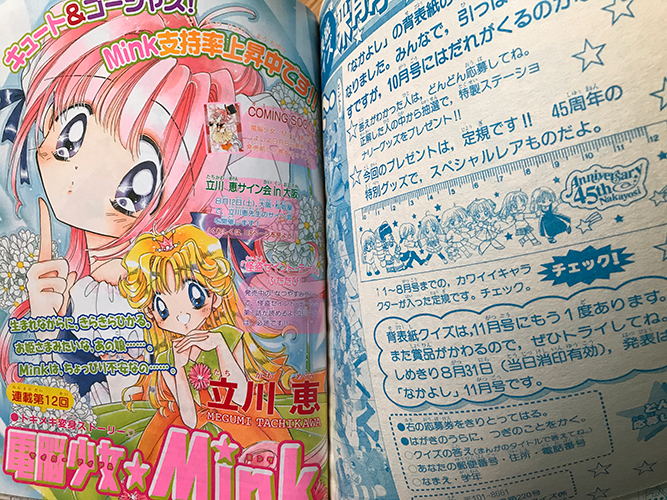 Color page for Cyber Idol Mink. 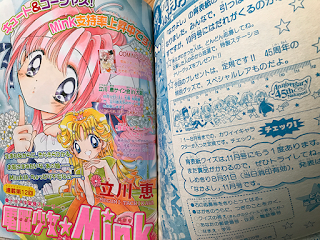 Fun fact: the creator behind Kaitou Saint Tail is responsible for this series. 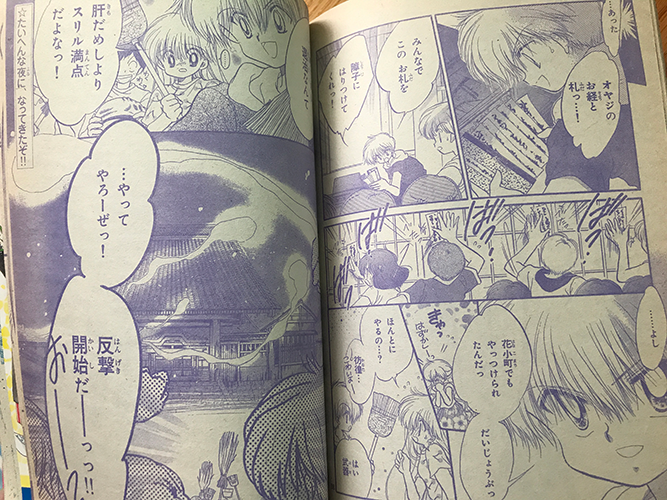 A page from Daa! Daa! Daa! 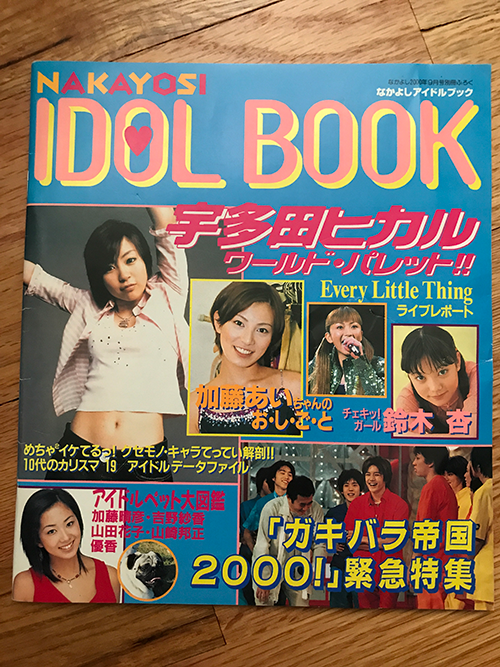 Here's the idol book that came with this issue. Do you recognize any of these guys? 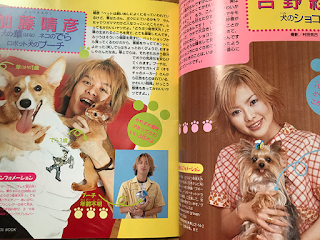 A few celebrities are showcased in the book with their adorable pets. What was your first Japanese magazine purchase? 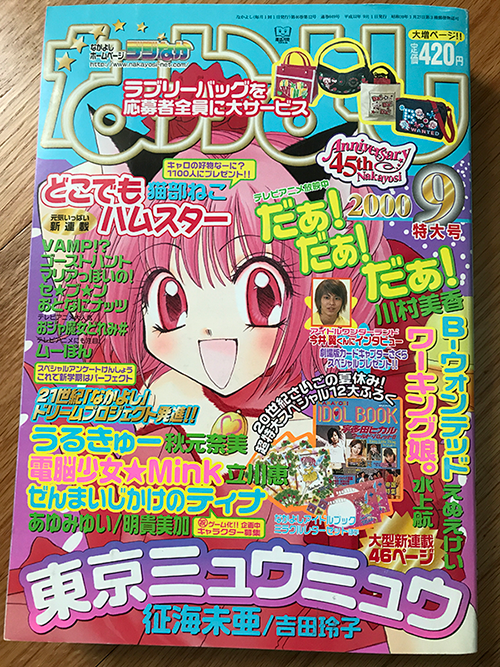 I haven't ever purchased a Japanese magazine. I've always wanted one from around the 70s.